$199.99 $139.99 30% off *Discounted price shown in red box. 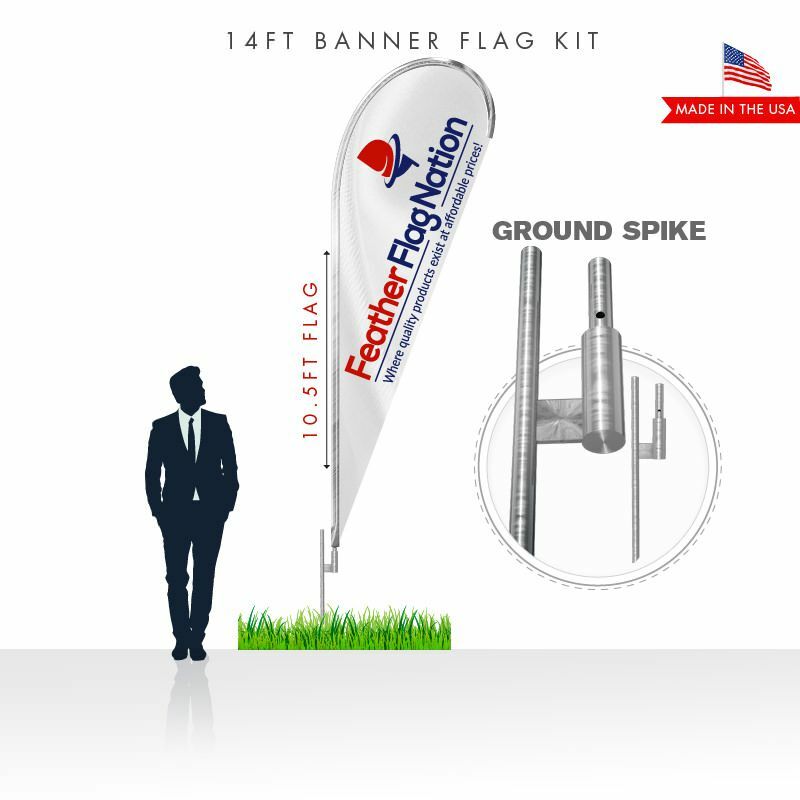 Order a promotional teardrop flag today for your next event! 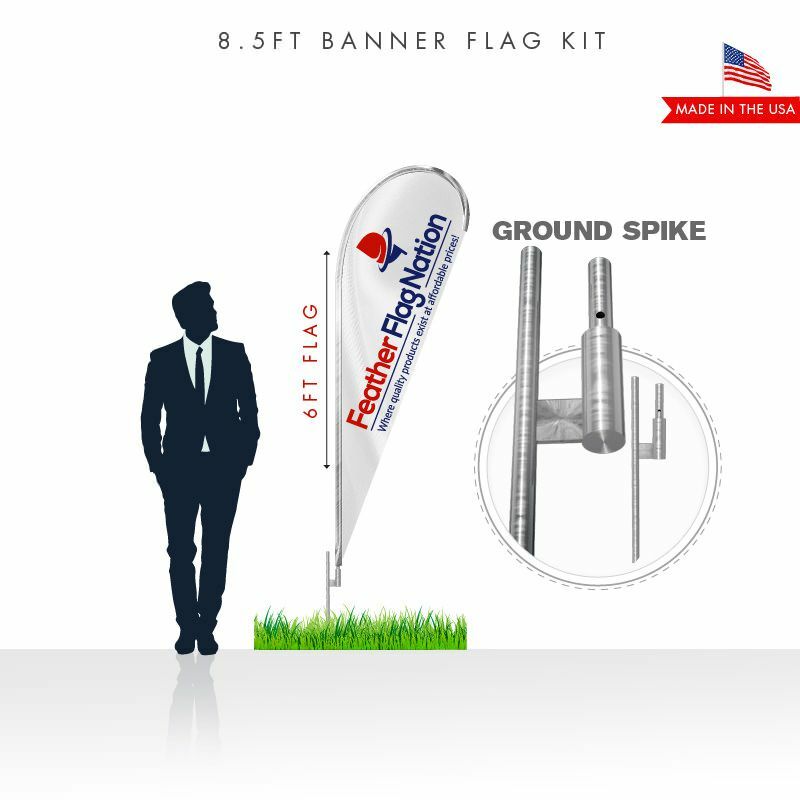 This is our largest teardrop size and the kit comes with a 14ft teardrop flag, poles, as well as the standard ground spike. Collapsible X-stands, otherwise known as cross bases, are versatile mounts for your custom flags. For your next event booth, purchase a promotional teardrop kit with cross base! 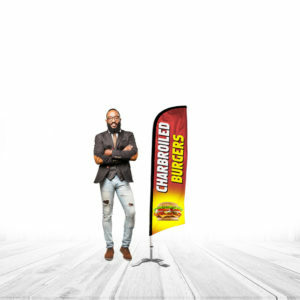 Use during music fests, food truck fests, and other locations for a great advertising push! The hardware mount that comes as part of this kit is a ground spike which can be used in grass, dirt, or sand. 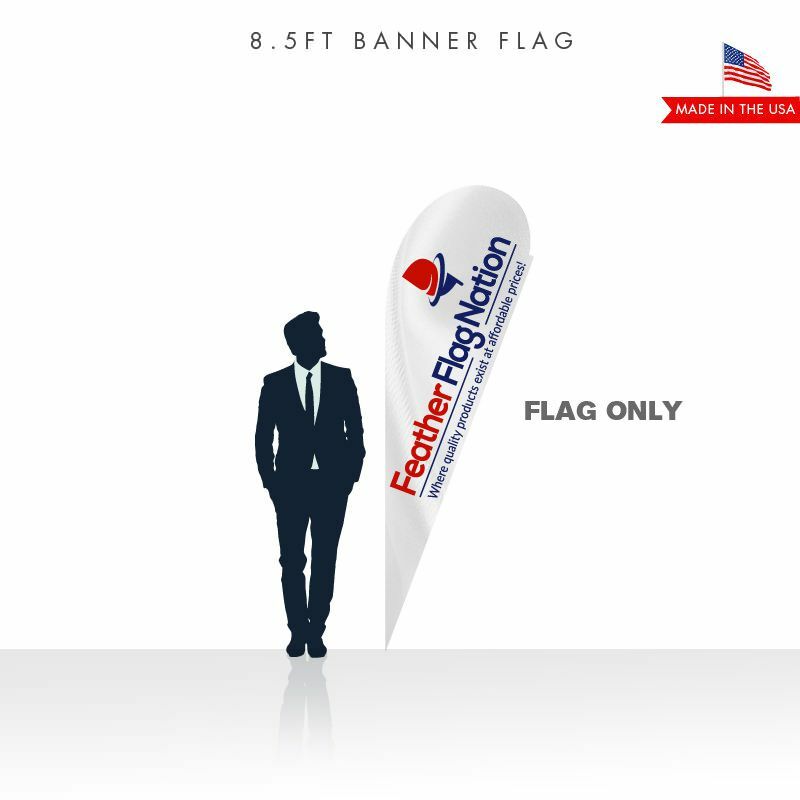 If you’re looking to use your custom rectangle advertising flag indoors or on hard surfaces (concrete, tile, hardwood, etc. ), it best to purchase the cross base mount. 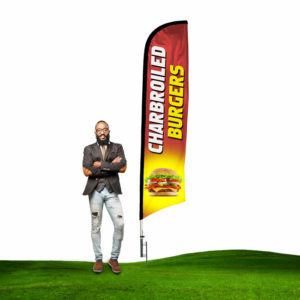 All of our custom flags are digitally printed. This means the flag can be printed in full color, depending on the design. Digital prints are fantastic for complex art designs such as photos or gradient and vector work.